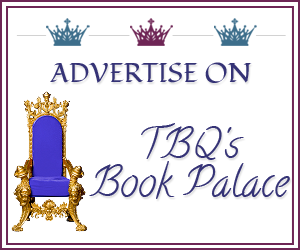 TBQ'S Book Palace: Blog Tour: Guest Post with Robbie Terman! Blog Tour: Guest Post with Robbie Terman! Robbie Terman began her journey as a writer in third grade, when she completed her first (24-page) "novel." Many years later, she is published in contemporary romance. Her heroines are feisty, her heroes Hot (yup, that's with a capital H!). And, when you read her books, if you tear up a little and laugh a lot, that's just the reaction she was hoping for. Robbie lives in Michigan and spend s her time wishing she lived somewhere warmer. When she's not writing, Robbie can often be found at Nordstrom, shopping for shoes and handbags. She's also a wannabe foodie, who's always looking for a new restaurant to try or a recipe she'll inevitably screw up. Thank you for having me! I'm thrilled to be here! Some Like It Sinful was a great book to write, not just because I used it as an excuse to indulge in nearly every pastry ever invented (except a Cronut - haven't scored one of those yet!). I loved telling the stories of Chloe Nelson and Griffin Lange. Chloe is my exact opposite in so many ways - she's a romantic, a dreamer, an optimist. She believes happily ever after does exist. Yet, life has thrown her a lot of curveballs. A major tragedy in her childhood, financial struggles. And now, when she finally achieves her dream of opening her own bakery, a chain bakery sets up shop directly across the street. Despite this, Chloe is determined to persevere, even if it involves a crazy scheme that has failure written all over it! Bad-boy hockey player Griffin Lange lands into a bit of legal trouble when showing off to his younger teammates. He has a choice between jail and community service, and he chooses to do his time working in Chloe's bakery. For Griffin, his image is everything. He feeds off universal admiration. So, he comes up with a plan to hide his legal woes - Chloe pretends to be his girlfriend instead of his jailor and in exchange, he helps drum up publicity for her shop. Chloe is desperate enough to agree, but it doesn't take long for the lines between fact and fiction to blur. Chloe and Griffin were a blast to write. I hope you enjoy reading their story as much as I enjoyed telling it. A struggling business and one act of vandalism may have brought them together, but bakery owner Chloe Nelson and professional hockey player Griffin Lange get along like chocolate and pickles. Chloe needs the famous (and famously unattached) Griffin to attract people to her pastries, and Griffin needs the curvaceous and fiery Chloe to keep him out of trouble. A fake relationship to keep the media interested seems like the perfect plan. But when temptation throws them into bed together, a new plan arises. Why not make the fake real? Griffin’s winning every home game, and Chloe’s business has never been better. Both know it’s only physical—and only temporary. But can they drop their defenses for love, even if it means getting a little bit sinful? Thanks so much for stopping by today, Robbie! :) I very much look forward to reading this series; who can resist a romance with food in it?! 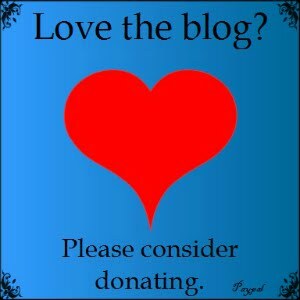 Pst, don't forget that I'm holding a quick giveaway on the blog's Facebook Page. We hit 200 likes last night and I'm giving away ONE print book, winner's choice, from Book Depository. Open INT, ends 12/5!